Free Your Resume: Can I Use my USAJobs Resume for Non-Government Positions? Can I Use my USAJobs Resume for Non-Government Positions? Can you use your USAJobs Resume for Non-Government Positions? 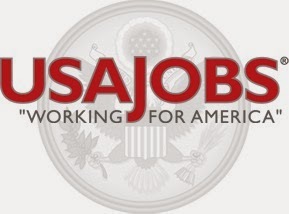 It is highly recommended that you do not use your USAJobs resume for non-government positions. Government jobs often see 9-11 page resumes, while resumes for non-governmental positions should avoid being over two pages, depending on your experience. A general rule of thumb is if you are a recent graduate or if you are applying to a non-managerial/executive position at a company, your resume should be no more than one page. If you are applying to an executive position, an expert/senior in your field, or it has been explicitly requested, then two to three pages is more accepted. USAJobs and various academia fields expect to have a full resume of all of your experience to be considered. Free resume templates for entry level positions and professionals. Free cover letter examples, job searching advice, and free career advice. Copyright 2014 Free Your Resume. Simple theme. Powered by Blogger.